It’s not very often that I jump on the ‘new product bandwagon’ but when Tanya Burr announced that she was launching her own lip gloss and nail varnish line, I was quite excited! I have loved watching Tanya on Youtube for quite a while now and love the simplicity of her blog posts. She is so passionate about beauty and it really comes across when she talks about it and creates new tutorials on different looks. Having a collection come from someone who is so passionate about the products was a real treat and I knew they were going to be worth buying! I planned on waiting a while to see a few reviews of the products but everyone seems to have been buying the same ones. I’m not a lover of the nudes and pinks so the purple (Exotic Island) was the one I had my eyes on and I needed a new Red nail polish as the one I had was dried up! I took up the 15% off Cloud10 offer last week and they arrived in 2 days! The Lipgloss is the perfect colour for me, although it’s more pink than purple, I absolutely love it! It’s not too sticky and it’s not too light, after an hour or two it feels the same as it did when first applied! It’s also really build able so you can keep applying through the day and it won’t seem cakey or heavy. The applicator is also a firm foam lip rather than a bristle brush which is what I prefer. It gives a more even coverage and doesn’t seem to hold more than it needs like the bristle applicators do. 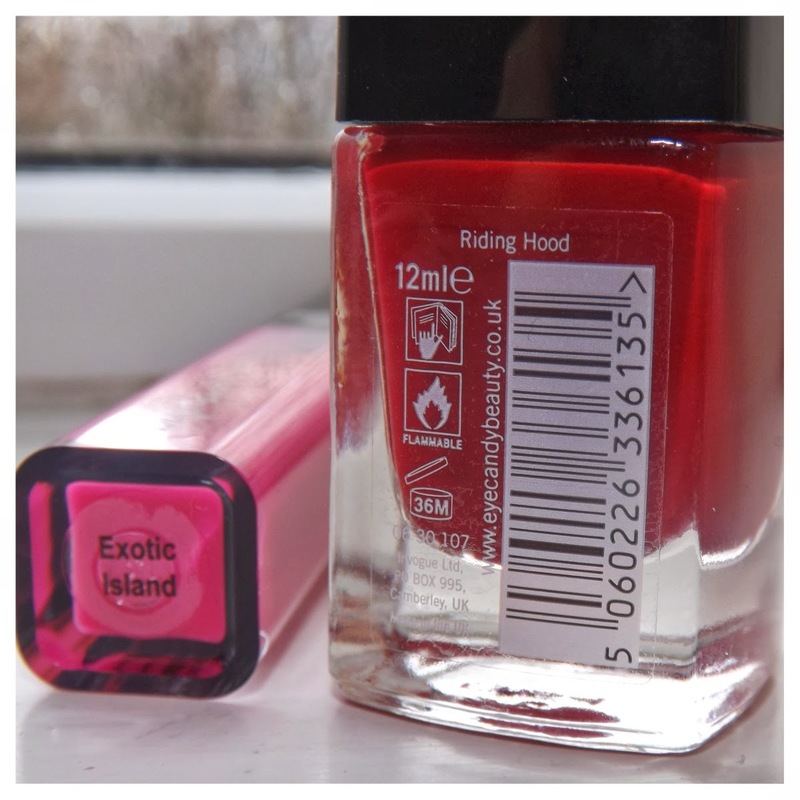 The Nail varnish (Riding Hood) is also a really lovely Red and it’s a colour that everyone should own. Even with 1 coat, it gives the perfect application and dries super fast! My nails are prone to chipping so within 2 days chips were starting to show but not as much as my other polishes! I think Tanya has done an amazing job working on these products and getting the colours how they are. There is definitely something for everyone with a great choice of shades and at an affordable price! You can buy the glosses (£6.99) and polishes (£5.99) from Superdrug, Cloud10, Feel Unique and Beauty Chamber. Have you got any Tanya Burr Lips & Nails products!? What should I get next? I bought Aurora lip gloss and love it cant wait to buy more . Exotic island looks pretty amazing!